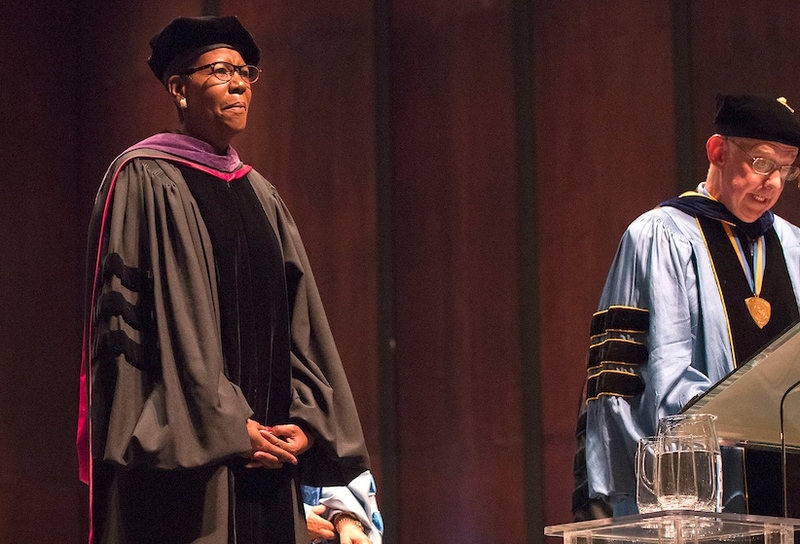 Stephen Farmer, vice provost for enrollment and undergraduate admissions, delivered the keynote address Tuesday during the celebration of Carolina’s 223rd birthday. The University’s official birthday falls on Oct. 12. 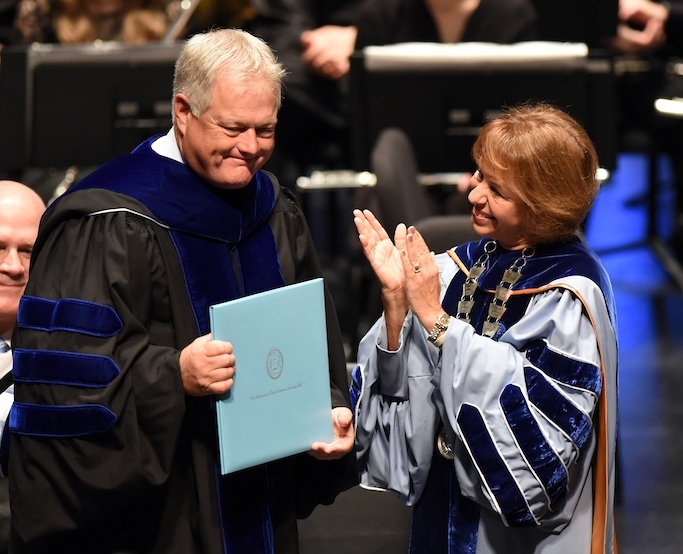 This year’s celebration was moved to Oct. 11 in observance of Yom Kippur and also to host in Memorial the inauguration ceremony of UNC System President Margaret Spellings on Oct. 13. 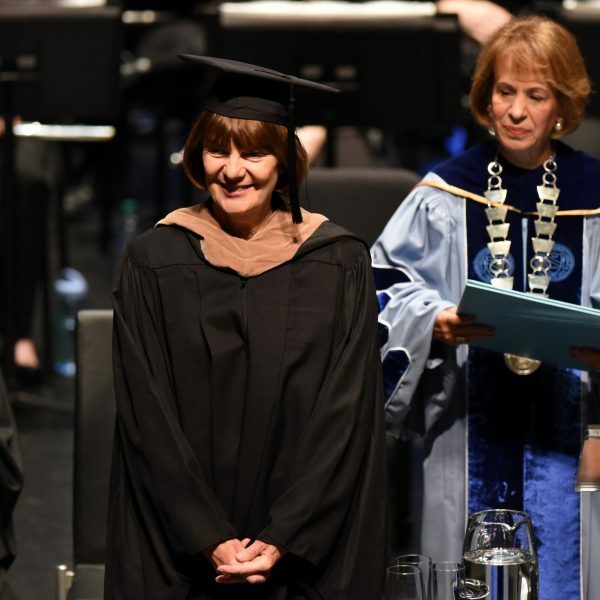 Chancellor Carol L. Folt selected Farmer, who has directed the selection and recruitment of Carolina’s undergraduate student body since September 2004, for his expertise and influence as a national authority on admissions and enrollment and his sharp focus on access and affordability. “From the beginning Carolina was a bold and brilliant idea,” Farmer told the audience. “The notion that higher education was a public good; that it fostered ‘the happiness of a rising generation,’ not just the perfection of individual students; that it belonged to the many rather than the few — this idea, this ideal, transformed our state and our nation, and also our world. It’s hard to imagine where we’d be today without it. “But if we’re going to be honest, we have to acknowledge that ours was an idea imperfectly realized. As good as was the place where we started — as noble, and as true — we’d be nowhere now if we hadn’t kept moving,” he said. “It took 100 years for Sallie Walker Stockard to follow in the footsteps of Hinton James, in her case from Snow Camp, not from Wilmington. We wouldn’t let her walk across the stage at Commencement, but she earned her degree anyway, the first woman to do so. She went on to write works of history that are in print to this day. “It took another 30 years for Henry Owl to get here from the Qualla Boundary—the first American Indian to be admitted. Twice denied the vote after earning his master’s, he went on to champion the rights of the Cherokee, testifying before Congress and securing U.S. citizenship for the people of the Eastern Band. “And it took yet another 30 years, along with a court order, for John Brandon, LeRoy Frasier, and Ralph Frasier to make it to Chapel Hill from Durham. Life here wasn’t easy for these young men — our first black undergraduates — and all three chose to earn their degrees elsewhere. But they made the rough way smoother for all who followed. And in doing so, they helped us come another step closer to our ideal and our identity as a public institution. Under Farmer’s leadership, the University has experienced 11 consecutive annual increases in applications and established new records for diversity and academic excellence with its first-year classes, including significant increases in the number of Pell-eligible students, first-generation-college students, global students and students of color. During his tenure, the four-year graduation rate also has risen to 84 percent from 76 percent. The Carolina College Advising Corps, which helps students find their way to college by placing recent Carolina graduates as admissions and financial-aid advisers in underserved North Carolina high schools, will help 62,000 students statewide this year. He also helped launch Thrive@Carolina, a University-wide initiative to strengthen success for all students. 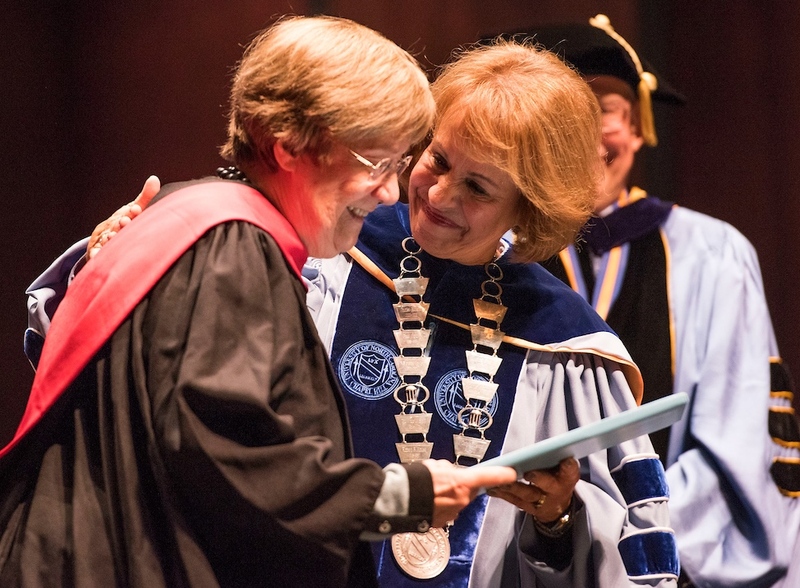 Other University Day convocation highlights will included the presentation of Distinguished Alumna and Alumnus Awards, a practice begun by the faculty in 1971 to recognize Tar Heels who have made outstanding contributions to humanity. have not been successful. In 1986, Bruton became the first female vice president of Duke Power/Mill-Power Supply Co.; she left there in 1987 to become vice president and corporate controller of Franklin Industries in Nashville, Tenn. Over the next few years, she became active in the Nashville Performing Arts Center, Kiwanis and the Brentwood Rotary Club. In 2007, Bruton left the corporate world to dedicate her life to making an impact that lasts, using a lifetime of acquired management skills. She focuses on impoverished areas in the world where the cycle of poverty has been especially cruel. Her approach is to provide a “hand up, not a hand out” by supporting sustainable projects, usually farming or service focused, that provide local villagers with jobs, knowledge, a chance for a sustained economy, improved self-esteem and increased family values. For example, she acquired 100 acres near Bauya, Sierra Leone, where she placed a professional director on site, identified the best solutions and guidance for local needs and eventually established a successful pineapple plantation that created more than 50 jobs. Her organization has supported projects in Panama, Honduras, Ghana, Togo, Nicaragua, Malawi, South Africa, Peru and Thailand. Most recently, Just Hope added a Survival Skills program, primarily for young girls who have been physically, sexually and mentally abused. These survival skill programs will provide the girls a real chance at lasting independence and stability in their lives. Bruton’s honors include the 2014 Rotarian of the Year Award from her Rotary club and a Distinguished Alumni Award from Wake Forest University for humanitarian service. founder of Florence Fearrington Inc. in New York. Fearrington’s interest in business began as a child, when her parents gave her a few shares of R.J. Reynolds and Carolina Power. In 1979, she founded her own money management firm, Florence Fearrington Inc., where she was CEO and portfolio manager. Fearrington accomplished this in a culture that displayed a pervasive bias against open and equal career paths for women on Wall Street. In 1997, Fearrington sold her firm to U.S. Trust, which allowed her time to pursue her passion for collecting rare books across several specialized topics. One such passion is rare, beautiful and old books about seashells. Her collection in this area is thought to be one of the finest and most extensive in the world. As a member of the Grolier Club, a private society of bibliophiles based in New York, Fearrington organized an exhibition of her Wunderkammer catalogs called “Rooms of Wonder: From Wunderkammer to Museum, 1599-1899,” in early 2013. Those acquainted with her collection, and the meticulous approach she takes to organizing and presenting information, were not surprised by the outstanding attention and reviews the exhibition attracted. After it closed in New York Ms. Fearrington loaned the exhibition for display in UNC’s Wilson Library, complemented by materials from our own rare book collection, from February to April 2014.
father was on the faculty. Following her undergraduate education at Carolina, Fuse-Hall earned her law degree from Rutgers School of Law and studied at Harvard’s Graduate School of Education. She served as a staff attorney for the New York Regional Office of the Securities & Exchange Commission. Her first position in higher education was at St. Lawrence University, where she was assistant director for minority affairs. She served as chief of staff to the president of Florida A&M University. Additionally at FAMU, Fuse-Hall managed special programs to enhance institutional strengths and student outcomes, a $10 million operation. She also has served as executive assistant to the chancellor at N.C. Central University and corporate secretary to the UNC System Board of Governors. At NCCU, she was instrumental in establishing the Biomanufacturing Research Institute and Technology Enterprise Center for Excellence and developed a public-private partnership that built a residence hall. In 2004, Fuse-Hall traveled to Southeast Asia on an Eisenhower Fellowship. She is a member of Links Inc., an international not-for-profit corporation with a membership of 12,000 professional women of color devoted to voluntary public service. commercial outsourcing services, a Fortune 500 company and one of Fortune magazine’s “World’s Most Admired Companies.” Over her 30-year career with Quintiles, Stafford was directly involved in the successful development and regulatory approval of hundreds of life-changing drug therapies for patients both in North Carolina and throughout the entire world. Joining Quintiles in 1985, Stafford was just the 23rd employee at the fledgling company that today boasts more than 36,000 employees conducting business in 100 countries. 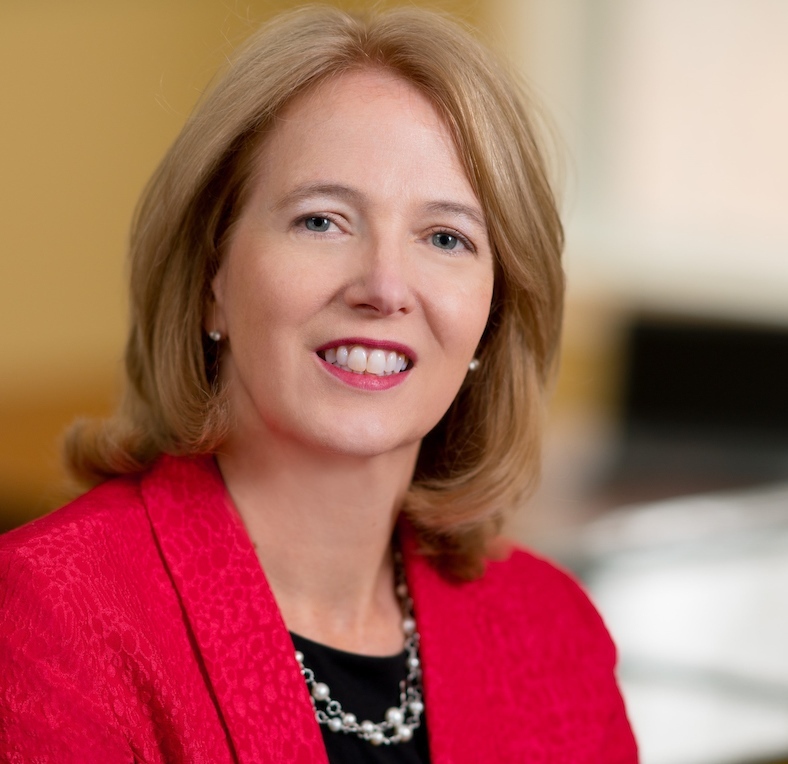 As president of clinical development, her part of Quintiles’ business generated nearly three-quarters of the company’s $4.3 billion in net revenue for 2015. Stafford is a recognized leader in the field of biopharmaceutical development and was invited to provide expert testimony before a congressional hearing on the topic of modernizing clinical trials in 2014. During that hearing, she provided recommendations and possible approaches in three key areas of drug development — patients, pathways and processes — to accelerate the delivery of therapies to patients. A statement from her testimony summarizes the focus of her work: “Modernizing clinical trials is critical if we are to meet the goals we share of delivering medicines faster, at less cost, to patients who need them.” Stafford’s impact in the ever-changing field of health care and pharmaceutical development became personal upon the completion of her first beginning-to-end clinical trial, in which she oversaw the development of a diabetes drug that has allowed her own grandmother to live well into her 90s by managing this chronic disease, which affects roughly 30 million adults in the U.S. alone. While most would consider Stafford’s 30 years at Quintiles a rich and fulfilling professional journey, she has barely slowed down since her retirement at the end of 2015. Based on her three decades of leading a global organization, Stafford provides leadership consulting services to a wide variety of organizations seeking growth and success for their customers, their investors and their employees. Additionally, she works with her alma mater serving as an adjunct professor at UNC’s Gillings School of Public Health and is the immediate past president of the Public Health Foundation Board of Directors. Stafford also serves on the Board of Directors for Health Decisions, a Durham-based, full-service Contract Research Organization. Additionally, the Edward Kidder Graham Faculty Service Award, established by the Faculty Council in 2011 to recognize outstanding service by faculty members, was presented to Mimi V. Chapman ’97 (PhD), professor of social work in the School of Social Work, and Eugenia Eng ’78 (MPH, ’84 DRPH), professor of health behavior in the Gillings School of Global Public Health. Chapman is noted for building bridges between the community’s needs and the University’s resources by giving voice to marginalized populations. Her work on Latino immigration and well-being has been funded by several national agencies, including the National Institutes of Health. Eng is a recognized trailblazer in community-engaged scholarship. She refined the innovative lay health adviser intervention model, an approach that builds on the social support function of networks within communities, and also pioneered action-oriented community diagnosis, a tool for community assessment, planning and mobilization.